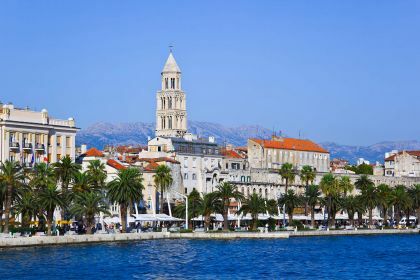 When you cruise past Split’s renowned waterfront you will understand why even the fussiest travellers consider it one of the world’s most iconic and picture perfect. It’s all yours for the taking and it’ll be hard to contain your patience to get ashore. 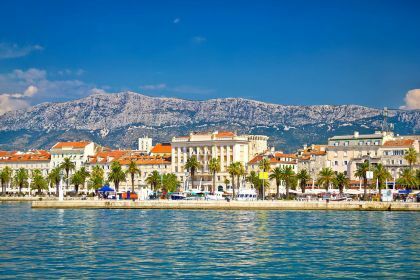 Split has so many riches to offer a seasoned traveller with a taste for fine living. It is guaranteed to surpass your greatest expectations. You will feel like a time traveller. 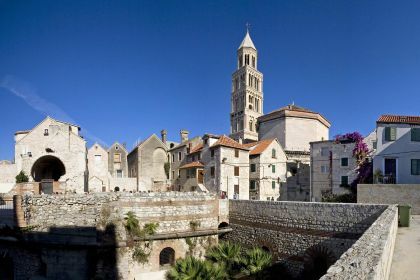 Walking the paved medieval streets of the Old Town, visiting the underground rooms in Diocletian’s Palace, seeing the Octagon Temple of Jupiter, the North Gate, colonnaded streets, you close your eyes and cast yourself back to Roman times. Enjoy a drink or coffee in a small square and imagine yourself to be among the nobility as background music seamlessly binds the past and present together. When it’s time to sample the natural beauty of the outdoors, consider visiting the Marjan Hill Park Forest. Situated on a hilly peninsula, overlooking the old town of Split, it is covered in a dense Mediterranean pine forest and completely surrounded by the city and the sea, making it a real soul cleanser. The hill climb is manageable for anyone who’s reasonably fit, and the sublime panoramas are well worth the effort. Just remember that there are no restaurants or cafes in the park, so you’ll need to bring a picnic or have a rewarding meal when you return to town. For authentic Dalmatian cuisine, try Konoba Matejuska. It’s reportedly unrivalled for its octopus stew and fish dishes. Head to Dvor for classic Mediterranean cuisine — food with a view is just what the holiday doctor ordered. Split is the ideal jumping-off point for an island-hopping Croatian vacation. There are so many enticing destinations in close proximity, you truly are spoilt for choice. Solta and Trogir, in particular, are great choices for some peace and quiet, away from the hustle and bustle. It’ll take you less than an hour to get there and indulge in some swimming, sunbathing, fishing or water-skiing. 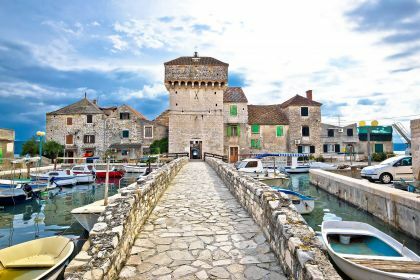 And then it’s on to the next clutch of islands: Brac, Hvar, Vis, Korcula and Mljet hold out their inviting offerings. Even celebrated Dubrovnik is easy to reach. Who could resist this opportunity? 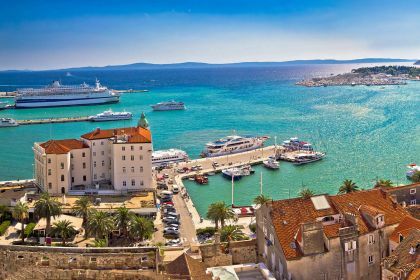 If we have wet your appetite to enjoy the tastes of the idyllic Adriatic Sea, with its rich cultural heritage, numerous islands and unspoiled beaches, feel free to contact your Abberley charter broker here or call us with any questions you may have. We’ll help you achieve your dream sailing or motor-yachting holiday.